You can choose 5 of the items listed below with this package. 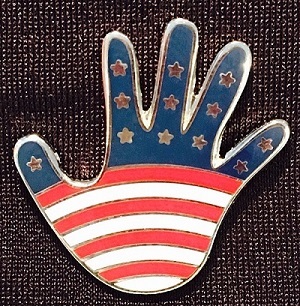 Create your own 5pack of pins for $25.00 save $5.00 - these are awesome to have on "hand" for a quick gift or a thank you for patients, staff, volunteers, physicians or anyone. Stock up and SAVE! PSSTTT - you can also order these for yoruself and you will be glad you did - they will make your patients smile.